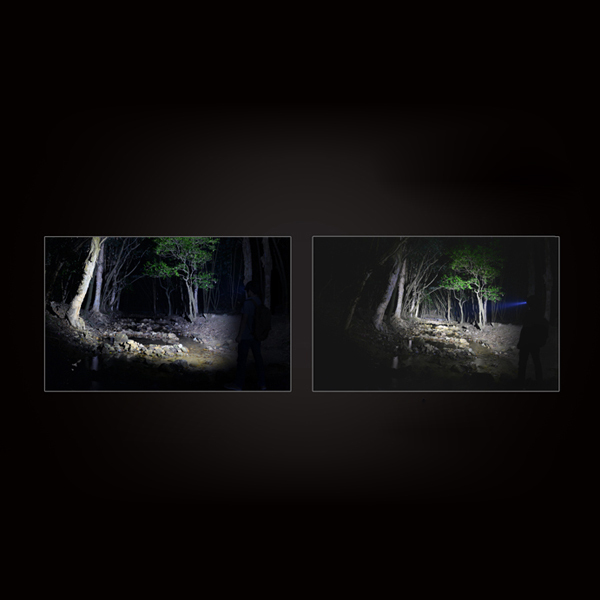 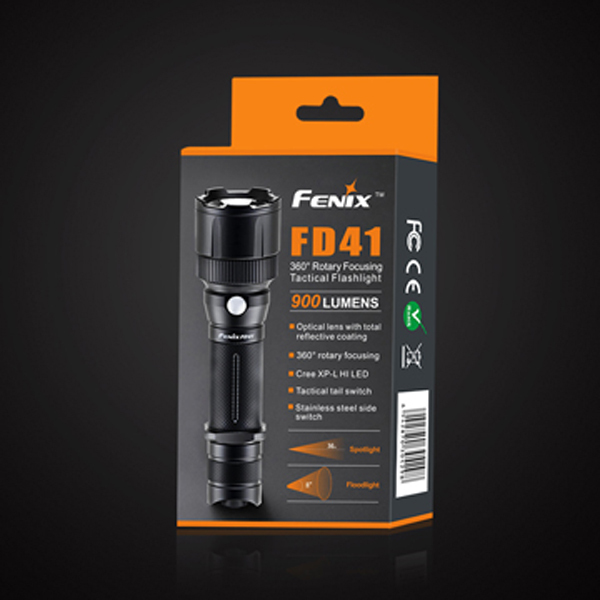 "This FD41 flashlight is a 360 degree rotary focusing tactical flashlight, it can easily realize the free switching of spotlight and floodlight by rotating the focus ring. 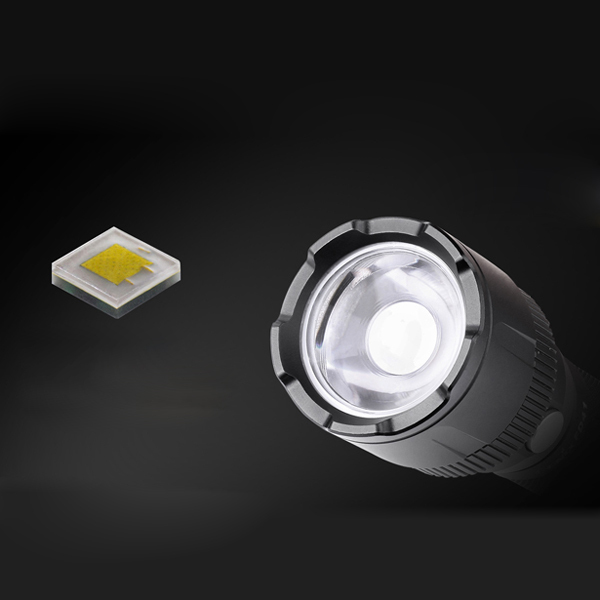 The LED it uses is focuses on the long-distance lighting, so it has the maximum brightness of 900 lumens and the farthest range of 340m. 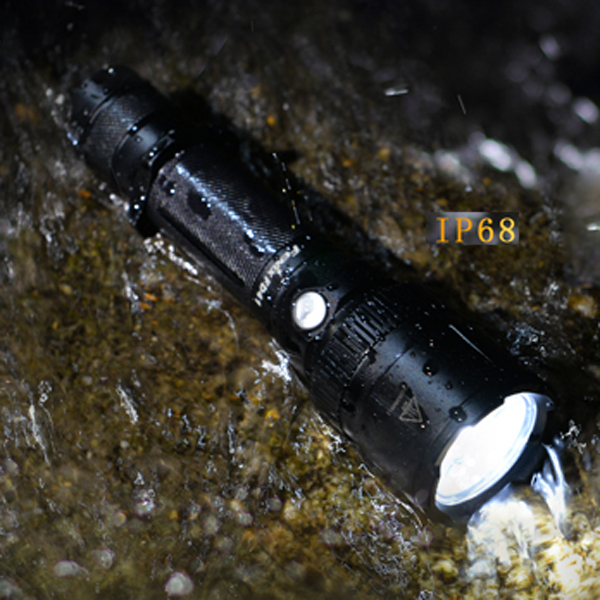 This flashlight has four brightness and burst flashing mode. 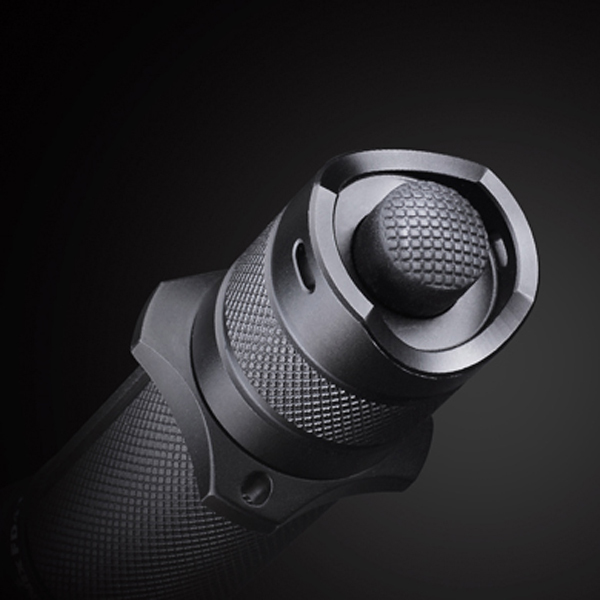 It's very convenient for the double switch control, that is, the tail tactical switch and neck electronic switch. 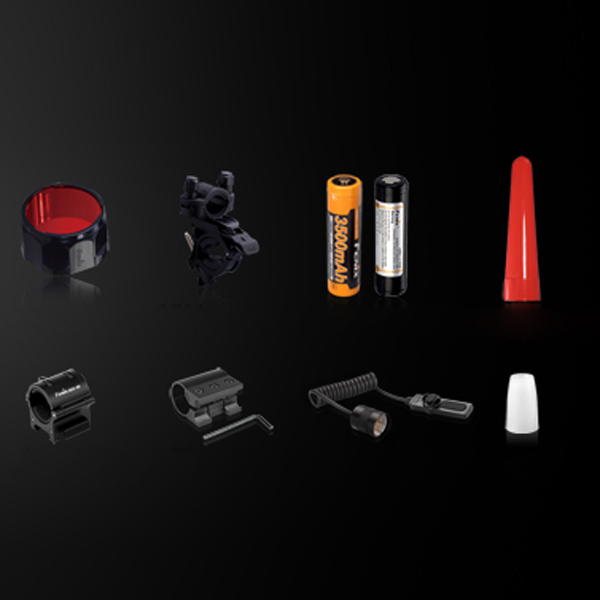 Moreover, use a high-capacity 18650 lithium ion battery and compatible with cold resistant CR123A battery, it's very suitable for military, hunting, outdoor photography, etc.